This game was available this month on Xbox Live for Xbox One for free and was almost worth the price...almost. It's hard to look a gift horse in the mouth but sometimes you definitely wish you had a peek at the tonsils. 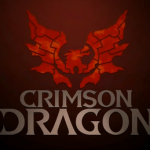 Crimson Dragon isn't a terrible game but it just doesn't hit the mark either. The game is a spiritual successor to the popular Panzer Dragoon series of games from the 90's on Playstation 2, Xbox, and Dreamcast. Part of the rails shooter genre you play levels where groups of enemies spawn periodically and need to be wiped out. Visually, the game is presented well with rich colors and sharp graphics. The environments are fantastic and definitely alien. 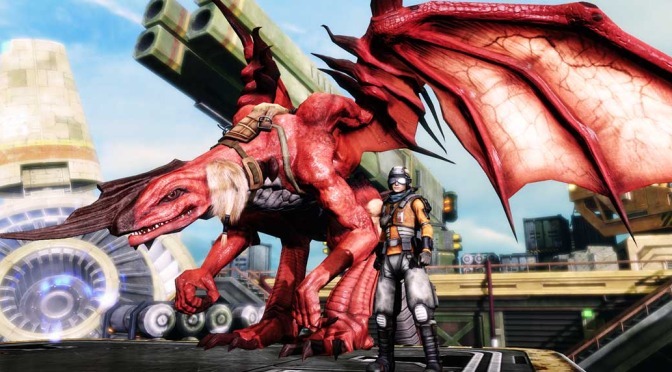 The premise of the game is of humans colonizing a planet dominated by dragons. A disease has decimated the society there and you and your dragon must work to investigate and eradicate this biological threat that makes the local wildlife homicidal. Easy enough to pick up and play, you fly around shooting at groups of flying and jumping critters. While soaring atop a dragon spraying fiery death upon your foes sounds like fun, the game controls and gameplay pull the reigns back in. The levels are on rails limiting your movement to just sliding around on the screen as you try to dodge ridiculously large globs of weapons fire. Often times the screen is filled with incoming projectiles which just can't be avoided. Enemies slide offscreen and end up shooting you from behind. Your dragon for some reason can't just stop and turn around to face them. (Shouldn't dragons be able to just hover?!?) You can select a "wingman" to accompany you on missions where they can provide support. You can direct your AI controlled buddy forward to attack what's in front of you or back to defend from the rear. In the more intense boss battles that wingman just seemed to dissapear into the background. Not hindering but not really supporting either. There is a leveling system with items to find and discover allowing you to power-up your mount and take on the more difficult levels. You can even unlock and ride different dragon breeds. Unfortunately, the menus and options can be confusing and in the short time I played I didn't notice a significant advantage from one upgrade to the next. Levels seem to be structured so that you must keep upgrading your dragon just to go back and re-play them thereby artificially lengthening the game experience. The levels consist of picking up glowing bits and taking out enemies followed by boss fights. It's worth a try but the greatest challenge is trying to stay interested long enough to play all the missions. While there are fans who enjoy those rails type shooters because of the feel, I think most would just feel the limits it presents. In the end it provides a nostalgic tip of the hat to earlier days when game development was rapidly stretching it's boundaries. Sure it can be fun but the limits to movement and repetitiveness to levels gets a little tiring after a while. Right now it's free through the end of August so you might want to give it a try but it's probably not a game you will want taking up precious hard drive space. Nice review Guinness. I’m just a bit fuzzy on the “rails” idea. Is that where you are always a picture on the screen but you simply swing in one direction or the other? On the Wii there is a game called GyroStar that functions this way. You can move forward or back, but it doesn’t impact much.I can see where it would get boring. I thought this game was ok but not great. I changed my mind. I don’t like it. Waffler! No one likes wafflers-but everyone loves waffles! Yummy. I haven’t even played it and I already don’t like it. b. Really liked the game play, little missions. c. Hated the way I had to control the dragon. Or rather lack of control maybe. I found myself leaning, standing,,, pulling, grunting,,,, trying to will the dragon into the direction I wanted it to go. I won’t devote loads of time to it,, but may visit occasionally for some achievements. I give it a 5 of 10. BTW, While it’s not readily apparent yet, at the bottom of the review is a User rating star score. Any user can simply click on that area to add their own score to the mix. It’s like a poll where it reflects the average of all users who voted. Give it a whirl!